Hwy 101 mile marker 27. If you take a right turn after passing the pay booth, you will reach Indian Beach (parking area holds about 30 vehicles). 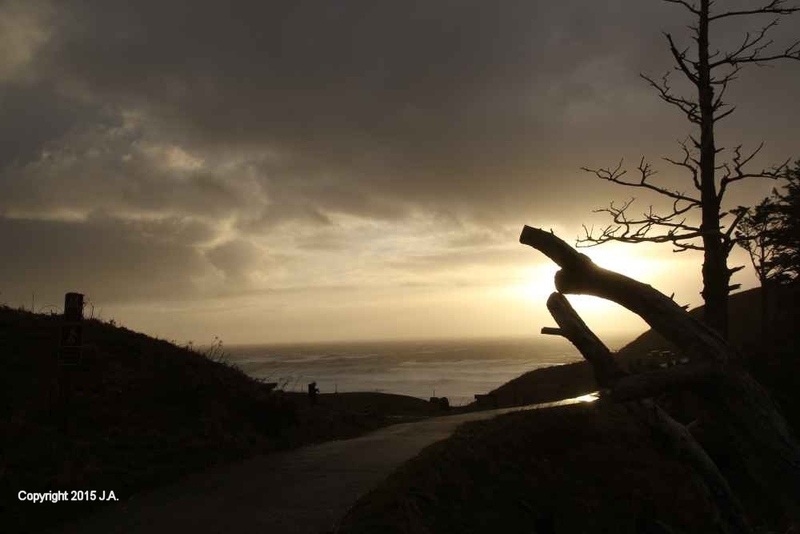 Site Resources: Restrooms and picnic areas at main viewpoint and also at Indian Beach, group shelter, overlook at main viewpoint. 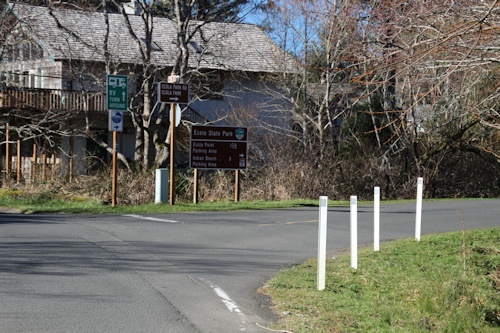 After passing through the park office, you can drive straight ahead to the main parking lot. 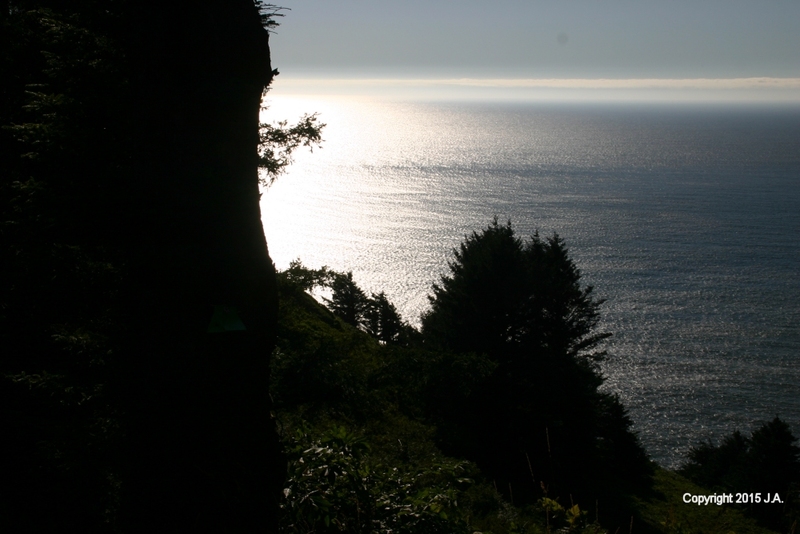 A short trail leads to an overlook offering spectacular views of the Oregon coast looking south. 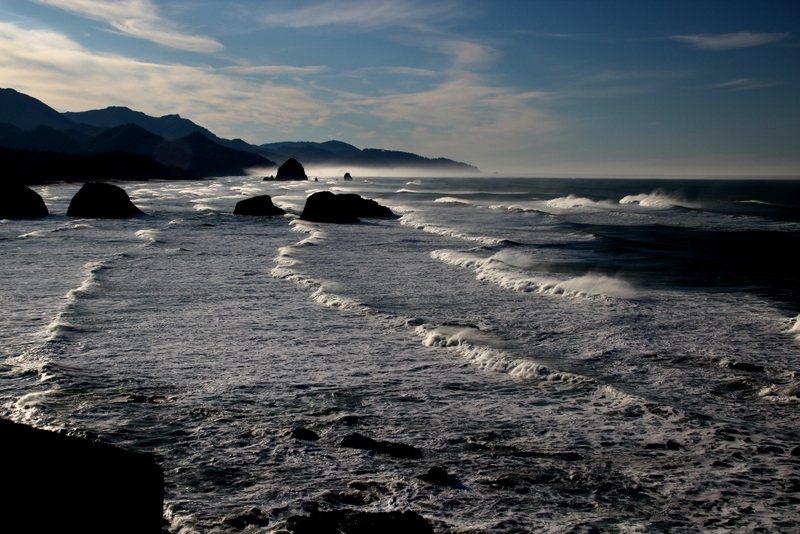 The famous "Haystack Rock" of Cannon Beach is in the distance. 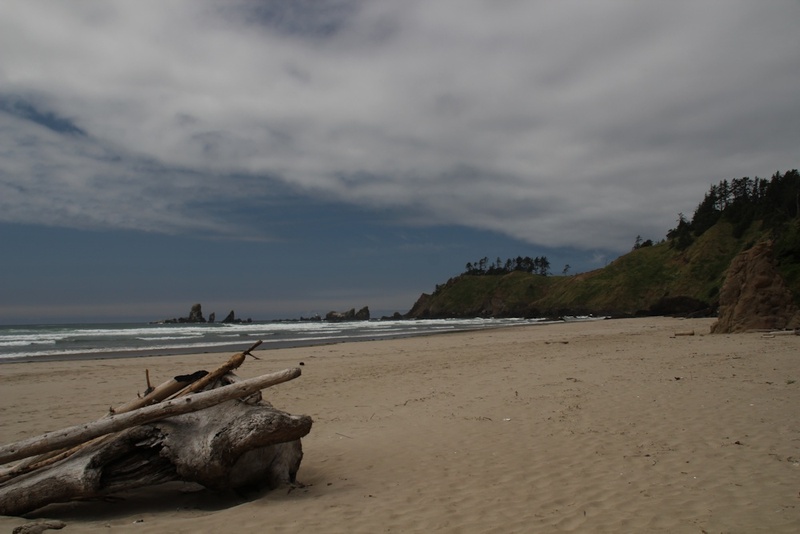 From the main parking lot, a 1.8 mile hike leads to Crescent Beach. Here's a view looking North. 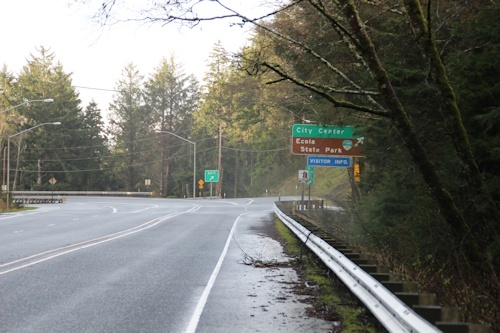 If you drive south on 101, you will pass the town of Cannon Beach, and also Tolovana Park. Here's a shot taken from a viewpoint south of Tolovana Park. 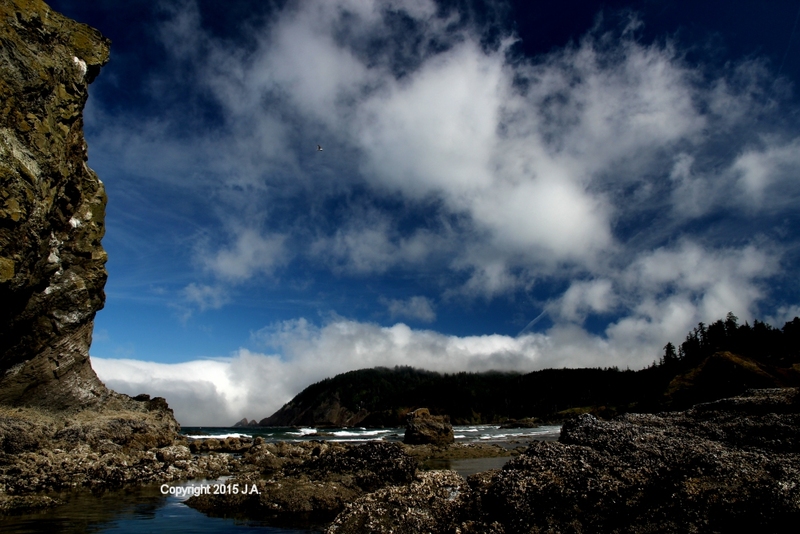 When the tide is low, you can walk around the rocks on the North side of Crescent Beach and reach many interesting areas. If the tide is low enough (typically the full moon and the "empty" moon), you can even reach Indian Beach. Taken in the evening after some stormy clouds briefly parted..